Thank you for supporting our Hunger Meal today and a special thank you to Mrs. Vanclieaf for cooking the rice. The students were exceptionally well-behaved. 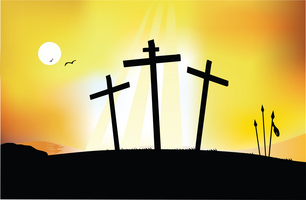 As we enter into the Easter Triduum, we would like to wish each and everyone of you a joyous Easter weekend. Enjoy spending time with your faith community, your families and your friends.